Yes, we have suggestions for you. Get more online web links directly to your hotel website. Please log in to your profile at our website, then proceed to the OPPORTUNITIES page to learn more. Your hotel currently appears on 20 individual websites in our IWB network. Your profile content is currently translated to 3 languages, which means your hostel profile appears on 60 individual pages on these websites. You can increase this to 15 translations, which means your hotel can appear on 20 x 15 actual webpages. That’s 300 webpages in total, which is significant. Social Media Marketing by IWB – You have a Facebook page with about 3.8K followers and an Instagram account with about 2.3K, good job. But we can boost your social media exposure even more. With our optional Social Media Marketing service, we will handle all your weekly social media posting on 3 social media channels, mainly Facebook, Twitter, and Instagram, which are the main ones for the travel market. And, we’ll rapidly grow your follower base much faster. Please let us know if you are interested. Our posting method is highly targeted, and designed to maximize your business’ social media presence. We can multiply your followers by many times in just a short period of time, and grow it from there. Professional Video Production. Video is a crucial aspect in today’s online marketing for hotels and accommodations. We can produce a custom video for your property. We will then promote your video on all our social media channels. Your video will be featured on your profile page on all 20 IWB sites that you appear on. As mentioned above, your hostel profile information can appear in up to 15 languages, which means your video can appear on 20 x 15 actual webpages. That’s 300 webpages in total, which is significant. You also receive a copy of your video for your own private and commercial use. You get to choose the theme of your video. Please let us know if you are interested in these services, which will greatly enhance your marketing efforts, and grow your reservations rapidly. Of course, this is a just a single case study. At Instant World Booking, we provide consulting and advice to hotel accommodations, hostels, and lodging of all sizes. We also provide custom solutions for growing accommodation businesses. Please contact us to find out how we can be of further assistance to your business. Asia, largest of the continents, is like a beautiful patchwork quilt, each piece being important to the whole, yet an entity unto itself. A trip to this great continent of extremes is filled with wonderment and miraculous sights, such as the impressive Himalaya Mountains, with the highest peak in the world, Mount Everest, being 29,028 feet high; Tibet, the highest plateau on earth, and the breathtakingly splendid Taj Mahal of India, which, although built in 1630, still symbolizes the exotic aura that surrounds all of Asia. The mysterious Orient entices the traveler to its fabulous ports of Hong Kong and Singapore, two of the most exciting cities anywhere; to picturesque Japan, which consists of four lovely islands, and is renowned for its unique culture, charming Kabuki theater, quaint architecture and graceful cherry trees; to Burma, called the “Golden,” because of the gold-encrusted pagodas that dot the landscape; and to intriguing Istanbul, formerly Constantinople, with its five hundred mosques and glamorous history of glory and accomplishments. You are transported to the pages of the “Arabian Nights” when you enter Baghdad, capital of Iraq; in fact your entire vacation in Asia will be memorable for its fairy tale quality and the indescribable magic that envelops this continent. Often considered the cradle of the human race because the Biblical story of the creation of mankind originated here, Asia was also the birthplace of the great religions, Christianity, Judaism, Mohammedanism and Buddhism, thus making it the site of pilgrimages made by thousands of people every year. 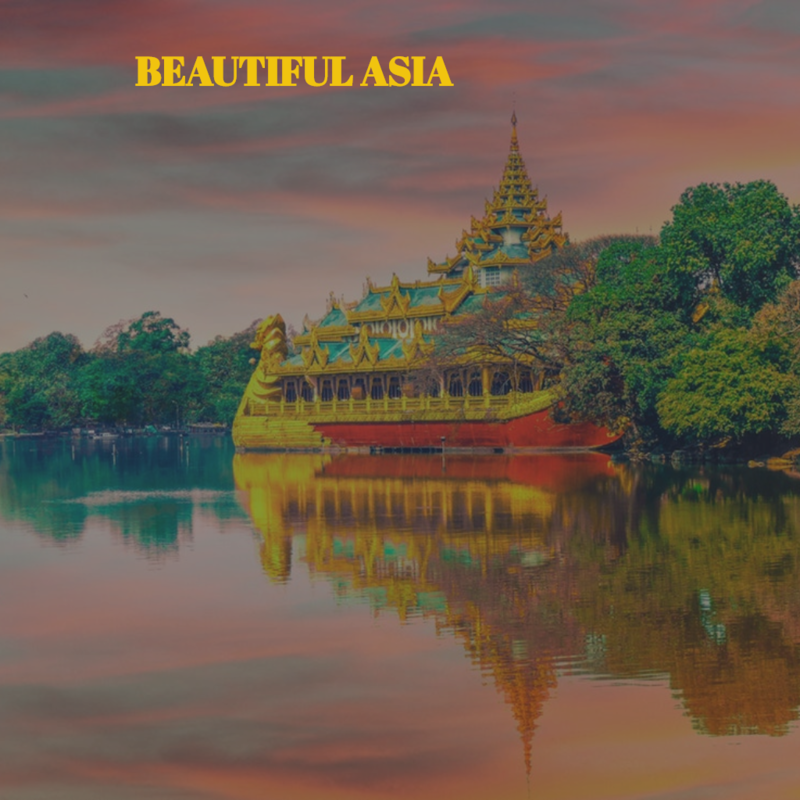 The Bible relates the story of the continent from the Garden of Eden to Babylon and Nineveh, and although Asia has changed in this age of modern commercialism, it has never lost its singular appeal. American travelers keep asking, “are we still able to travel to Cuba?” The answer is definitively yes. But if you’re wondering how, here’s what you need to know about travel to Cuba. In November, the Trump administration tightened travel and commercial ties to Cuba, part of its effort to roll back former President Barack Obama’s historic opening with Havana. The new rules came nearly five months after President Trump announced he would reverse Obama-era policies that loosened the decades-long trade embargo against the communist island. The new restrictions impact primarily individual travelers. Yes, you can still hire a tour company and join a guided tour that ensures you meet all the requirements and fulfill the full time schedule of activities they require. 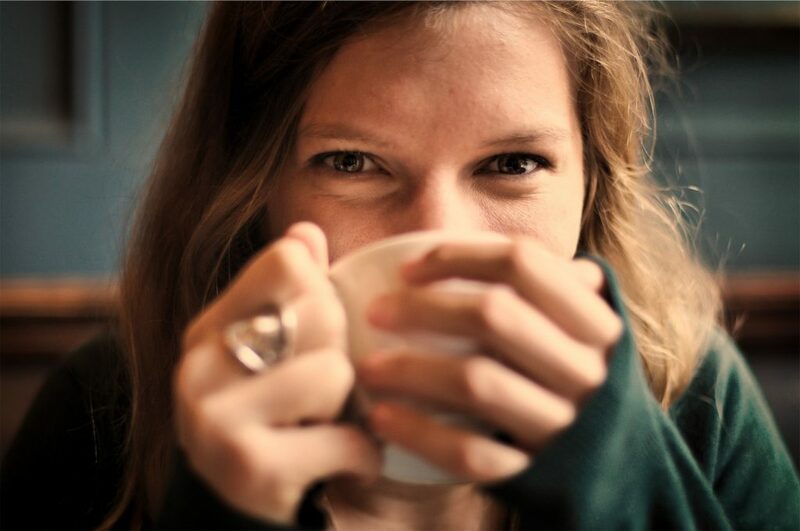 But what about individual travelers, hostelers, or adventurous people who want to support the humanitarian vision for Cuba, while still traveling in their own independent way? Under new Treasury Department rules, individual “people-to-people” trips — which have enabled individual American travelers to visit Cuba for educational purposes on their own as opposed to with a tour group — have been eliminated. This elimination has had obvious repercussions for companies like Airbnb which famously cater to individual travelers. 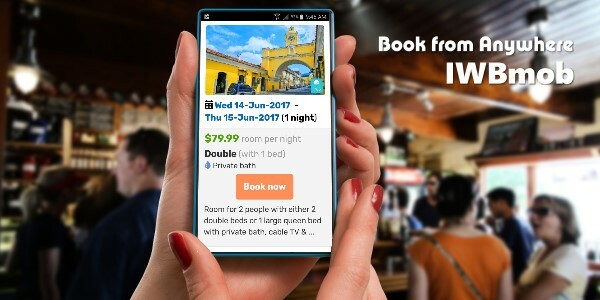 But, Instant World Booking has now entered the Cuban market, and is offering a fresh alternative to Airbnb and other services for accommodation at unique and individual Cuban small hotels and casa particulares. The lawmakers have assured that individual travelers are still able to visit the island if it’s in support of the Cuban people. While little-known to American travelers today, this assurance is actually written into the law. Better yet, do you need to get some sort of license or authorization from the US government? No. 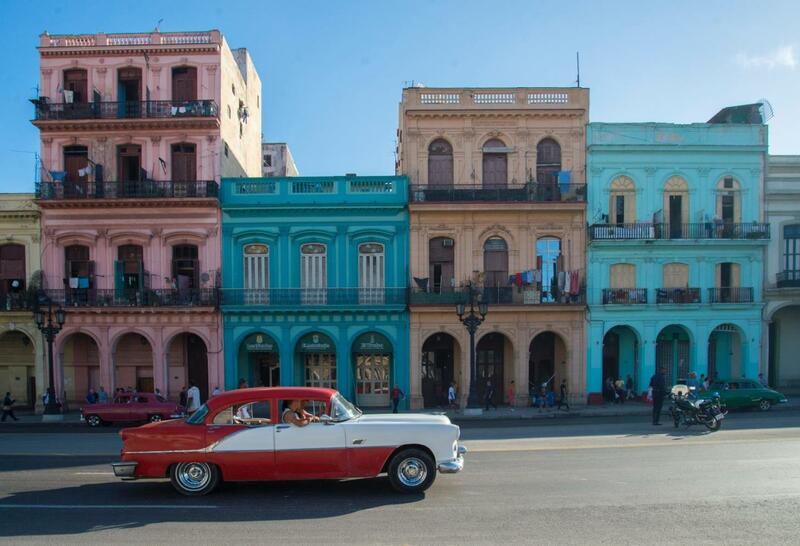 As an American traveler to Cuba, you can start planning your trip today. It’s called a general license, and as long as you conform to the activities and requirements outlined in the above sources, your trip is permitted. But, we suggest you read the rules thoroughly. You’ll need to keep some records regarding your schedule and trip. Remember, you are ultimately responsible for ensuring your travel is in compliance with the regulations. To celebrate our commitment to travel in Cuba, we have introduced a new website www.cubainstantbooking.com, featuring a vast set of options for accommodation in Cuba. This site joins the over 100+ other sites in our proprietary network of hotels, hostels, and apartments worldwide. In addition, we are beginning to work with both US and Cuban groups to facilitate accommodation of official travel groups within our network of private lodgings in Cuba. We hope you are inspired by this article, and will perhaps consider a trip to Cuba in the near future. Remember that your presence can help support civil society in Cuba, and promote the Cuban people’s independence. Please feel free to contact Instant World Booking with any questions you may have. Working with different online sales and distribution channels (OTAs) is a good option to create new sales opportunities in different markets at the same time, and increase the visibility of hotels online. Every time a hotel signs up for a new OTA they can experience difficulty managing calendar inventory, rates, promotions and reservations from different extranets. Using multiple booking agencies also means the possibility for overbookings. Instant World Booking has partnered with MyAllocator to provide a world class channel management solution at an affordable price. Read more about the Benefits of joining MyAllocator through Instant World Booking. #IWBMob now enables you to engage your customers on Facebook, directly from your IWB profile page. A few weeks ago, we announced the introduction of IWB’s new mobile website, called IWBmob. The next phase of this re-branding is now underway. It is a mobile-first design. As an Instant World Booking hotel/hostel/B&B partner, your profile page, and the entire booking process, has already been redesigned. The impact so far has been remarkable. For users of our new booking engine, the experience surpasses almost any modern booking site available today. In our last announcement, we promised to introduce some innovative methods of integrating your experience with Facebook and IWB. These are brand new innovations that have not yet been used by other booking services. Now, you and your customers can start a Facebook conversation, directly from your profile page on IWB. This is an innovative method of integrating social media with your booking media. Just post the URL of your IWB profile on your Facebook page, inviting your customers to comment and join the conversation. Then, go to the IWB profile, and begin the conversation by directly posting your Facebook comments there. For more specific instructions, continue reading below. Worldwide, there are over 2.01 billion monthly active Facebook users as of 2017. If you think Facebook has peaked, consider that this number has grown 17% since last year. With 2.01 billion, Facebook has more monthly active users than WhatsApp, Twitter, and Instagram combined (Source: CNBC). For hotels, hostels, and accommodation, Facebook is very important. It’s so important that Facebook has introduced an API called Dynamic Ads for Travel, specifically for hotels. So, this means that Facebook is a very important audience for you, one that you can’t ignore. You should consider how to increase your involvement in this platform. This is where Instant World Booking enters. We give you a creative and effective way to increase your engagement on Facebook. There’s no cost. See the instructions below. If you are interested in other ways of advertising on Facebook, or just need help setting up or maintaining an active social media presence, we are now offering these services to our partners. Just contact us for help. Copy the URL of your profile page (assuming you’re a hotel/hostel member of IWB). Go directly to the IWB profile page. Post the same comment there, perhaps with a new photo that you want to share. Then, sit back and watch the comments come. When you engage properly with your audience, a lively conversation, with photos, is one of the best ways to increase your popularity on Facebook. There’s a bonus. Any comments that are shared this way have the possibility of appearing automatically on your Facebook page, your IWB profile page, and IWB’s Facebook page. So, your exposure is tripled. #IWBMob ahora le permite involucrar a sus clientes en Facebook, directamente desde su página de perfil de IWB. Hace unas semanas, anunciamos la introducción del nuevo sitio web móvil de IWB, llamado IWBmob. La próxima fase de esta re-marca está en marcha. Es un diseño móvil primero. Su página de perfil, y todo el proceso de reserva, ya ha sido rediseñado. El impacto hasta ahora ha sido notable. Para los usuarios de nuestro nuevo motor de reservas, la experiencia supera prácticamente cualquier sitio de reservas moderno disponible hoy. En nuestro último anuncio, prometimos introducir algunos métodos innovadores de integración de su experiencia con Facebook y IWB. Se trata de innovaciones nuevas que aún no han sido utilizadas por otros servicios de reserva. Ahora, usted y sus clientes pueden iniciar una conversación en Facebook directamente desde su página de perfil en IWB. Se trata de un método innovador de integración de medios sociales con sus medios de reserva. Simplemente publique la URL de su perfil de IWB en su página de Facebook, invitando a sus clientes a comentar y unirse a la conversación. A continuación, vaya al perfil de IWB y comience la conversación publicando directamente sus comentarios de Facebook allí. Para obtener instrucciones más específicas, continúe leyendo a continuación. En todo el mundo, hay más de 2.01 mil millones de usuarios activos de Facebook a partir de 2017. Si usted piensa que Facebook ha alcanzado su punto máximo, considere que este número ha crecido un 17% desde el año pasado. Con 2.01 mil millones, Facebook tiene más usuarios activos mensuales que WhatsApp, Twitter y Instagram combinados (Fuente: CNBC). Para hoteles, albergues y alojamientos, Facebook es muy importante. Es tan importante que Facebook haya introducido una API llamada Dynamic Ads for Travel, específicamente para hoteles. Por lo tanto, esto significa que Facebook es una audiencia muy importante para usted, una que usted no puede ignorar. Usted debe considerar cómo aumentar su participación en esta plataforma. Aquí es donde entra Instant World Booking. Le ofrecemos una manera creativa y efectiva de aumentar su participación en Facebook. No hay costo. Vea las instrucciones a continuación. Si está interesado en otras formas de publicidad en Facebook, o simplemente necesita ayuda para configurar o mantener una presencia activa de medios sociales, ahora estamos ofreciendo estos servicios a nuestros socios. Sólo póngase en contacto con nosotros para obtener ayuda. Copie la URL de su página de perfil. Vaya directamente a la página de perfil de IWB. Publicar el mismo comentario allí, tal vez con una nueva foto que desea compartir. Luego, siéntese y observe los comentarios. Cuando te involucras correctamente con tu público, una conversación animada, con fotos, es una de las mejores maneras de aumentar tu popularidad en Facebook. Hay un bono. Los comentarios que se comparten de esta manera tienen la posibilidad de aparecer automáticamente en su página de Facebook, su página de perfil de IWB y la página de Facebook de IWB. Por lo tanto, su exposición se triplica. You think of California in the summer months, you automatically think of hot summer days. But you will be very surprised to know that in San Francisco, it can be a bit chilly, especially in August. So if you need a break from the heat, head to San Francisco! Its well known for a number unique characteristics like its chilly summer fog, steep rolling hills and eclectic mix of Victorian and modern architecture. And of course the famous Landmark, The Golden Gate Bridge. 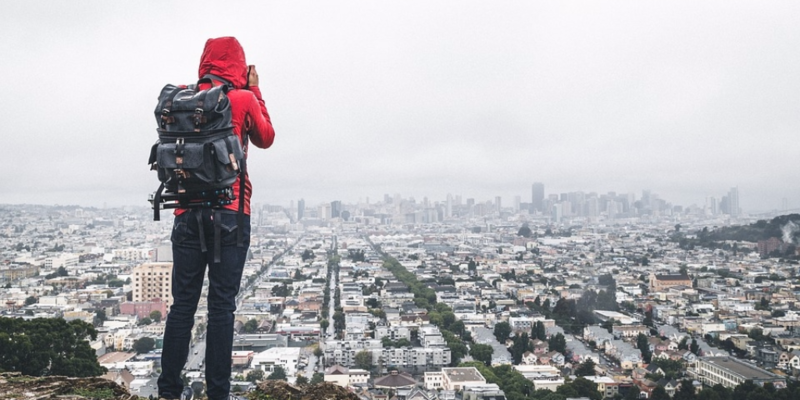 This article is the place to find out where to go and what to see and do in San Francisco during the “chilly” Summer month of August! Our new mobile website design is here. We recently announced the introduction of IWB’S new mobile website, dubbed IWBmob. The first phase of this re-branding has just been released. It is a mobile-first design. This means that your profile page, and the entire booking process, has been redesigned. And it’s nothing short of revolutionary. Our new design features leading edge mobile aesthetics, and an ultra-responsive, streamlined user experience. For users of our new booking engine, the experience will surpass almost any modern booking site available today. Mobile-first means that our site will respond flexibly to all types of computers and devices, with an emphasis on mobile users. After all, more than 25% of worldwide travel bookings are made on mobile devices. And, mobile bookings are increasing at a rate of 20% or more each year in some countries. But, this also means that our website, and your property information, will be equally beautiful and functional on all computers. In the coming weeks, additional phases of our IWBmob re-branding will be visible across our entire website. We invite you to check out your new profile pages (including up to 15 translated pages for each property that we’ve always offered). We think you’ll agree that it works better on mobile devices, and is more straightforward and easy for users, than most other booking sites. As an added bonus, we will soon introduce some innovative methods of integrating your IWB experience with Facebook and other social media. These are brand new innovations that are currently not used by any other booking service. Look for future announcements to learn how to take advantage of these innovations. Nuestro nuevo diseño de sitio web para móviles está aquí. Recientemente anunciamos la introducción del nuevo sitio web móvil de IWB, llamado IWBmob. La primera fase de este re-branding acaba de ser lanzado. Es un diseño móvil primero. Esto significa que se ha rediseñado su página de perfil y todo el proceso de reserva. Y no es nada menos que revolucionario. Nuestro nuevo diseño cuenta con una estética móvil de vanguardia y una experiencia de usuario optimizada y flexible. Para los usuarios de nuestro nuevo motor de reservas, la experiencia superará prácticamente cualquier sitio de reservas moderno disponible hoy. 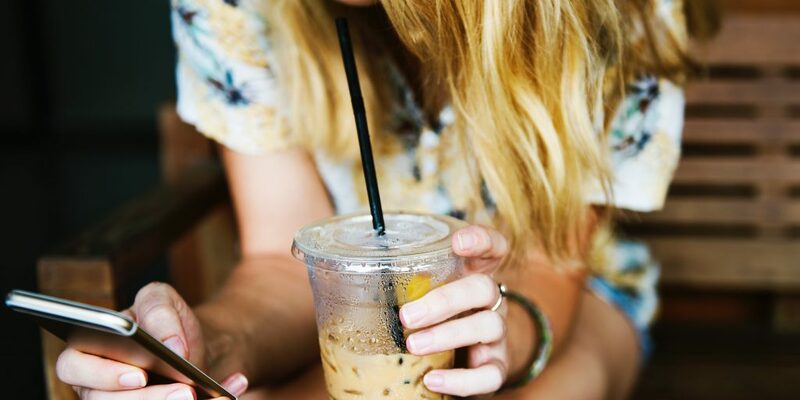 Mobile-first significa que nuestro sitio responderá con flexibilidad a todo tipo de computadoras y dispositivos, con énfasis en los usuarios móviles. Después de todo, más del 25% de las reservas de viajes en todo el mundo se realizan en dispositivos móviles. Y, en algunos países, las reservas móviles aumentan a un ritmo del 20% o más cada año. Pero, esto también significa que nuestro sitio web, y su información de propiedad, será igualmente hermosa y funcional en todas las computadoras. En las próximas semanas, las fases adicionales de nuestra nueva marca IWBmob serán visibles en todo nuestro sitio web. Una cosa a considerar al seleccionar su motor de reserva principal es esta. ¿Ha realizado el proceso de reserva en varios dispositivos móviles diferentes, como un iPhone, un teléfono Android y una tableta? ¿Son las confirmaciones por correo electrónico de que sus invitados reciben igualdad de movilidad? Instant World Booking tiene todo esto cubierto para usted. Te invitamos a consultar tus nuevas páginas de perfil (incluyendo hasta 15 páginas traducidas para cada propiedad que siempre hemos ofrecido). Creemos que estarás de acuerdo en que funciona mejor en dispositivos móviles y es más sencillo y fácil para los usuarios que la mayoría de los otros sitios de reservas. Para la comparación, aquí están algunos de los mejores perfiles que hemos visto. Le recomendamos que los revise para obtener ideas. Recuerde, agregue sus mejores fotos! Como una ventaja añadida, pronto introduciremos algunos métodos innovadores de integrar tu experiencia de IWB con Facebook y otras redes sociales. Se trata de innovaciones completamente nuevas que actualmente no son utilizadas por ningún otro servicio de reservas. Busque anuncios futuros para aprender a aprovechar estas innovaciones. Since summer will be here in just a few days and travel is going to be at its summertime peak before we know it, here’s an very impt article we came across in regards to making sure your Passport is up to date. Your passport might not be valid enough for certain countries. Please read the below Article for some very important information.